There are many wireless mouse’s are available in the market today which you can buy according to your need. It all depends on your need that which type of mouse you want to buy and how you want to use them, but when it comes to the best performance and design then it sounds pretty difficult to decide which type of mouse should you buy? Which can easily make your work easier. So, here I am going to talk about ‘Recon Foldable Wireless Mouse’ which I think could be the mouse you are searching for. So let’s check out what it has to offer for you. Recon is the first mouse in the market today which can be fold in about full 180 degree and had received the Reddot design awards for 2013. The mouse comes with a 4 DPI settings (max 2000 DPI) and laser tracking engine and it has a in-Built Li-ion battery which is only 9 mm thick and gives you up to 3 months backup once fully charge. The design of the mouse I think is really cool, as it comes with Microsoft Arc Touch style design which makes it look perfect and very handy too. – Full function Touch scroll wheel. Double click touch area equal as click the mouse wheel. 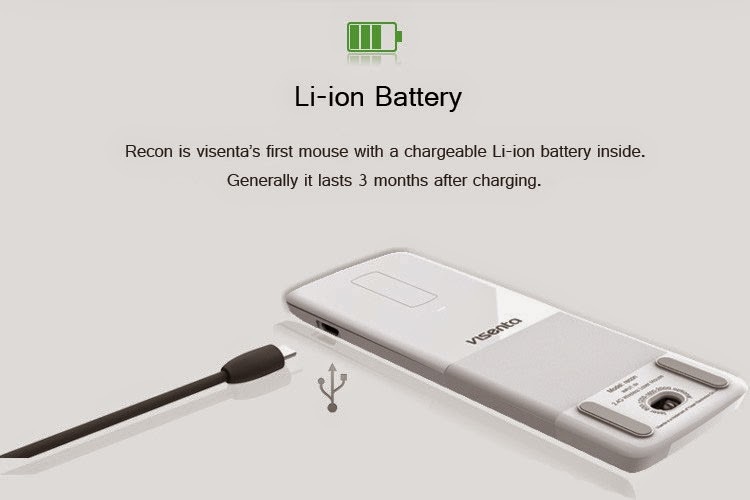 It has a in-built Li-ion battery, which means you can turn it on or off whenever you want, to turn the mouse on just fold it by pushing the folded piece of the mouse to the right. You can wake up the mouse by pressing the left or right mouse button or touch the scroll area if it gets sleep after 3 seconds Idle. 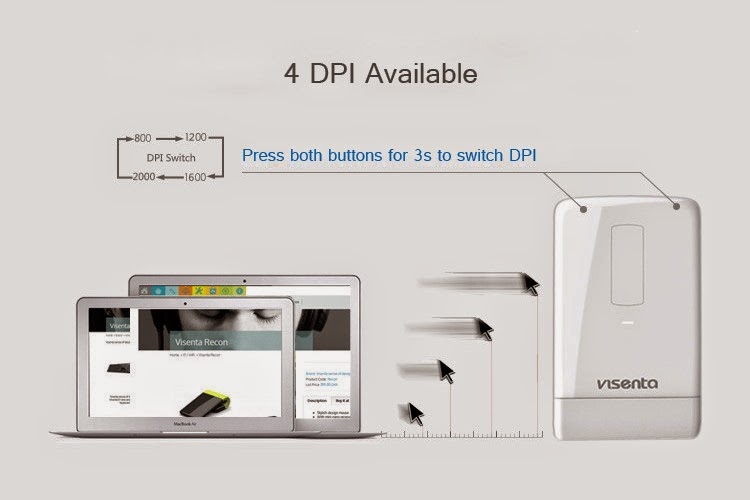 You can also change the DPI settings, to change just hold down both right and left mouse button for 3 seconds together. 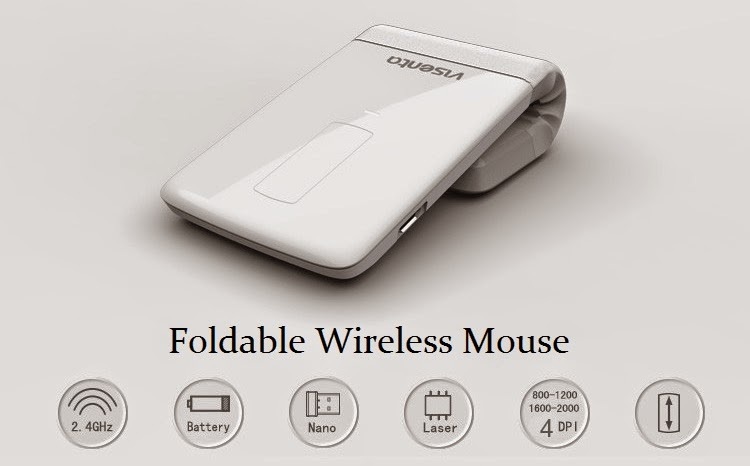 I think it’s a pretty good to have such an awesome mouse to perform your work at your home, office, and while travelling too, you can easily carry this mouse to anywhere you go, because of its unique foldable design, it just feels like you are carrying any mobile phone into your pocket. If you want to buy this mouse you can buy it here online. Let us know how you like this mouse or if there is any other mouse you are planning to buy just share it with us by leaving it in the comments below.